Jasmine has been in my life for 13 years, since the spring of 2001! I remember the first time I saw her display of exquisite silk sarongs on Mallory Pier. I was mesmerized. The colors, the designs, the artwork were breathtaking. I sat on the wall watching the sarongs billow in the gentle breeze. 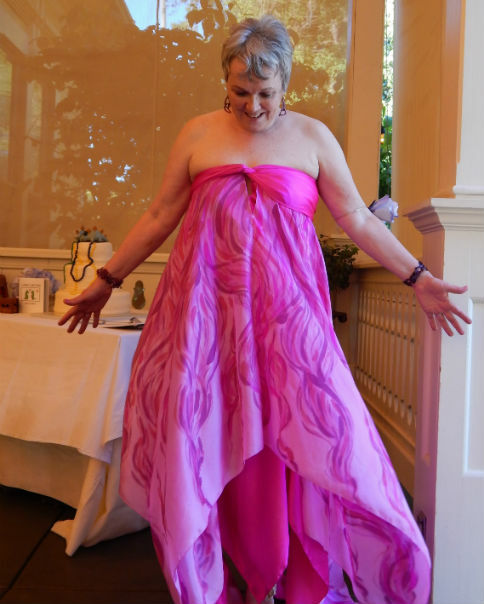 I had never worn a sarong…was not at all convinced that I could wear one…but I had to have one! From that moment, one of the highlights of each of my Key West vacations was visiting Jasmine during Sunset Festival, browsing through the growing, stunning collection of silks and picking out a new one for my collection…never an easy decision! During the next couple of years, I amassed a gorgeous collection of Jasmine sarongs….short ones, long ones, green ones, orange ones, purple ones, white ones, pink ones… And then a day came when she wasn’t on the pier. I gave her a call and she told me to stop by her studio in Big Pine Key and see her new work! So I took a drive up the Keys to visit Jasmine and her studio and was dazzled by the expanded resort wear collection she had developed. From that visit, I started to expand my Jasmine Sky Designs collection with incredible silk pants, dresses and tops. 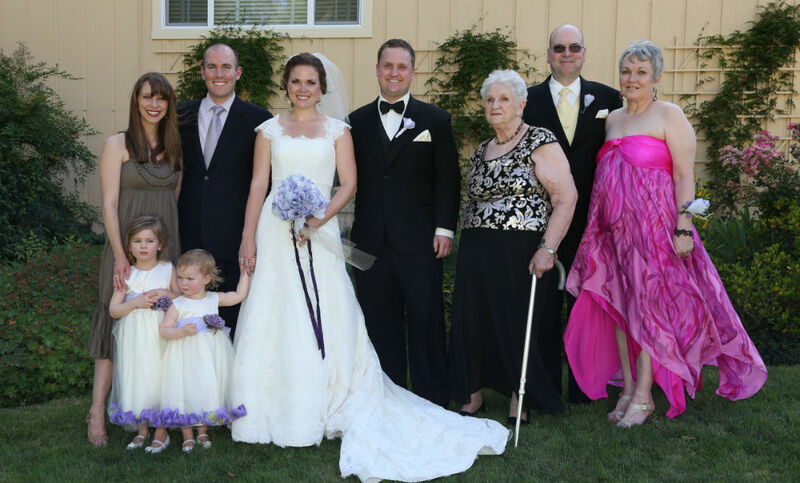 About a year ago my daughter set her wedding date for May 2014…in wine country California. 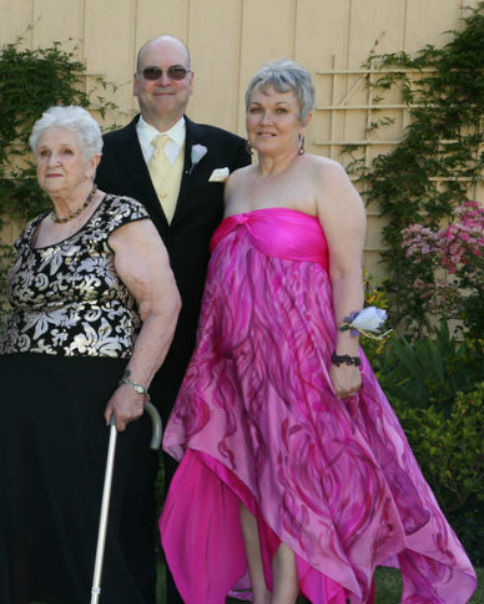 For several months I considered mother of the bride dressing options, but by September I had decided that I needed to have a Jasmine Sky original…even if I was going to be in a vineyard instead of on the beach. Jasmine and I had several phone consults, discussed various styles, palettes, and artwork. I was concerned about trying to work through the process long distance, but Jasmine has a real talent for asking questions, suggesting options and helping you visualize possibilities. She was patient and available. The Fiji design that I finally settled on (in January!) was perfect for the occasion. It fit the spirit of the event as well as my personality. I felt beautiful, ethereal, lovely and dressed for fun, happiness and celebration! I love everything about my dress…the way it moves when in the breeze, the way it moves when I move, the palette that brightens my complexion, the ups and downs of the hemline and the fact that I can wear it in so many different ways. I look forward to wearing it again and again and again. I know I will feel like a goddess whenever I do wear it! I look forward to continuing to add new Jasmine Sky Designs originals to my wardrobe!